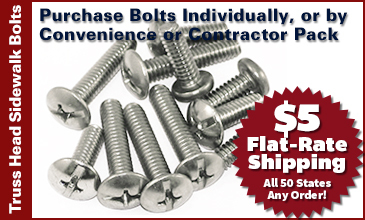 Combo Sidewalk Bolts come with a #3 Phillips combination head. 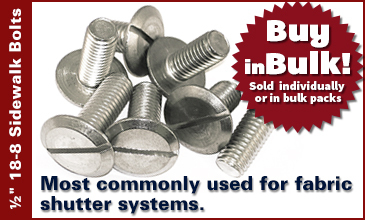 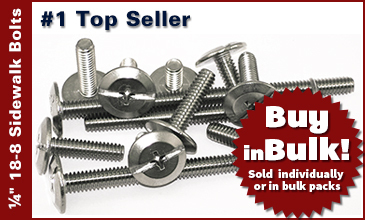 Sidewalk Bolt Anchor Systems work with: PanelMate L Inserts, Lead Machine Screw Anchors, Sammy Super Screws & ELCO Female Storm Panel Anchor Systems! 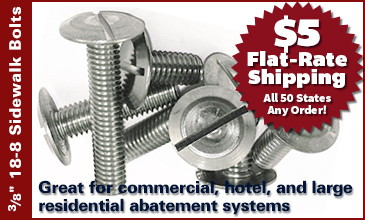 Use these systems for attaching Plywood Shutters, Aluminum Storm Panels, Bertha Storm Panels.